Team Intrack have developed the Intrapole over the years to be the ultimate in banner signage. 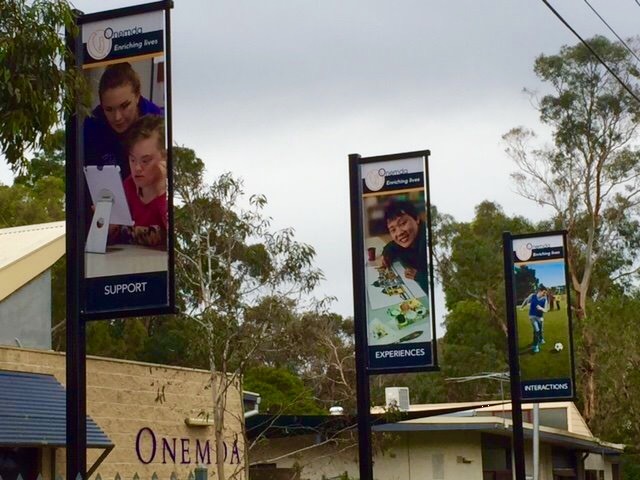 This photo shows our 125mm x 6.0mtr Banner Pole in black on a hinge base that were recently installed at a school. Banner poles or Intrapole as we here at Intrack call it are a great way to get your message across to the public. Using a vinyl banner, its lifespan will last longer and changeover can be done from lowering the pole on its hinge base without the use of a boom.